Rosetta Cucchi graduated with honors in Piano at the Music Conservatory in Pesaro, her native town, then specialized under the guidance of Jorg Demus, Sergio Fiorentino and Michele Marvulli. She is principal pianist at the RAI National Symphony Orchestra in Rome from 1991 to 1994, performing in numerous concerts under the baton of such conductors as Gary Bertini, Eduardo Mata and Georges Prêtre, to name only a few. Since 1995 she collaborates as music coaching coordinator with the Rossini Opera Festival in Pesaro, the Wexford Festival Opera and numerous other international institutions. She makes her debut in 1999 at the Teatro alla Scala accompanying Mariella Devia and starts a successful career performing on the world’s most prestigious stages. The same year, she starts working as producer of operas staged without the orchestra, where she both stages and accompanies such operas as La Traviata, Rigoletto, Falstaff and L’elisir d’amore. She then makes her debut as producer in 2001 at the Teatro Rossini in Lugo with Il Passo dell’anima, show about Carlos Gardel, with actress Lella Costa, baritone Andrea Concetti and a seven-elements ensemble, in Catania, Como, Parma and Piacenza. In 2003, she stages Rossini’s La Scala di Seta at the Teatro de la Maestranza in Seville, obtaining great acclaim by both audience and critics. Highlights of her operatic collaborations include: Walter Braunfels’s Prinzessin Brambilla at the Wexford Festival (2004); Paisiello’s both Gli Astrologi Immaginari (2004) and Il Barbiere di Siviglia (2006) in Taranto; Carlo Coccia’s Arrighetto for her debut at the Rossini Opera Festival in Pesaro in 2005, then replicated Novara; Verdi’s Otello (2005) and La Traviata (2007) at the Teatro Colon di Bogotà; Menu’ Rossiniani, music by Rossini with such interpreters as Antonio Siragusa, Roberto De Candia, Laura Polverelli and Elizaveta Martirosyan (2006); L’Italiana in Algeri at the Teatro Comunale in Modena (2007/08); Il Viaggio a Reims in Piacenza (2009); L’elisir d’amore in Bologna (2010; La Favorite with Daniela Barcellona at the Teatro Alejandro Granda di Lima (2010); the Italian première of Handel’s Rodelinda at the Festival della Valle d’Itria (Martina Franca, Italy – 2010); and La Cenerentola for As.Li.Co. Theatrical/musical productions: Carlo Pedrotti’s Tutti in maschera in Savona, Piacenza and Rovigo in 2007/08; and Stephen Sondheim’s Sweeney Todd in 2009 at the Teatro Comunale in Bologna. Among recent and future engagementes Mozart’s Idomeneo in Lubeck, L’Elisir d’amore in Florence, a new production of La Gioconda in St. Gallen, Don Giovanni in Tenerife, Modena, Piacenza Lucca and Genoa, Fedora in Genoa, Salome in Wexford, La Bohème in Boston, La Favorite in Venice. She collaborates with the Wexford Festival as Artistic Director and director of numerous productions. 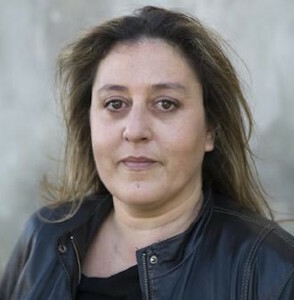 Since 2001, she is Artistic Director of the Lugo Opera Festival and Artistic Director of the Fondazione Arturo Toscanini in Parma.